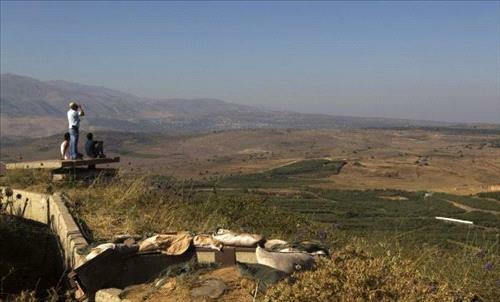 AMMONNEWS - Minister of Foreign Affairs and Expatriates, Ayman Safadi, stressed that Golan Heights are occupied Syrian territory, according to all international legitimacy resolutions. Safadi told Petra that comprehensive solution requires an Israeli withdrawal from all occupied Arab territories, adding that Golan Heights constitute integral part of the territory occupied in 1967. Safadi noted to the UN Security Council resolution 497 (1981), which stipulated that the Israeli decision to impose its laws, jurisdiction and administration in the occupied Syrian Golan Heights is null and void and without international legal effect. Safadi, in a joint press conference in Amman in January with his U.S. counterpart Mike Pompeo, reiterated Jordan's position towards Golan Heights, saying that the Golan Heights are occupied Syrian territory, this is the Jordanian position and this is the international position.